Pipes getting attacked by tree roots? Need tree root removal services in Bluford, IL? Rooter-Man specializes in tree root removal! We can get rid of those pesky tree roots. A lot of homeowners and businesses in Bluford, IL don't know that clogged or blocked drains can be caused by tree roots encroaching on drain pipes. 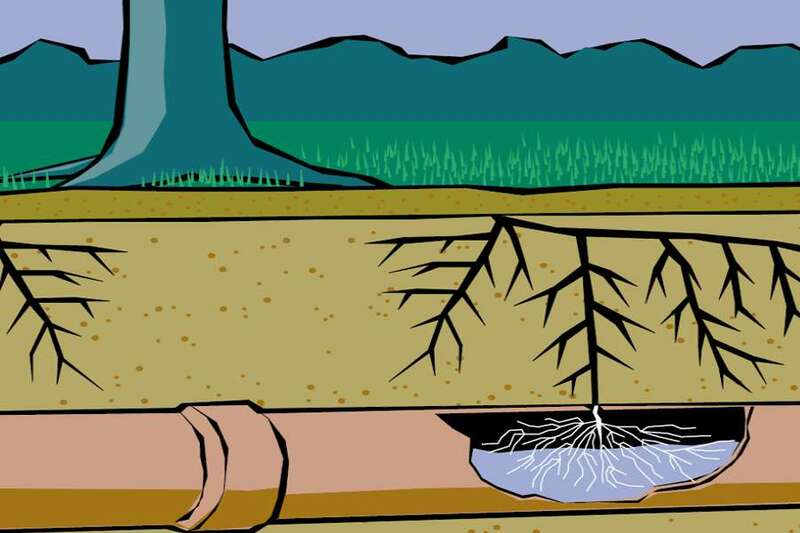 Tree roots can damage septic tanks and drain fields too. Waste water is rich in plant nutrients such as phosphorus and that acts as a magnet to tree and shrub roots. Clogged drain pipes, leaking, or even cracked septic tanks due to tree roots is fairly common and no doubt causes a headache for property owners. Rooter-Man of Bluford, IL has the expertise and equipment needed to perform everything that is required to get the roots out of your drain pipes and repair the damage they have caused.